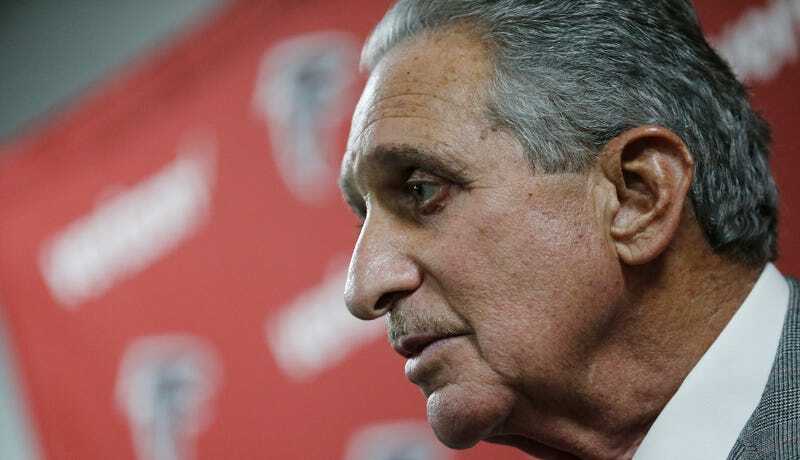 Emails first published by the Associated Press show that members of the Atlanta Falcons’ front office were worried about the team’s excessive use of painkillers when treating injured players. The emails were sent in 2010, and the discussion was started by Marty Lauzon, who was the team’s head athletic trainer at the time and is currently the organization’s director of sports medicine. Within the first two days on the job, I was informed that we barely missed a DEA investigation because of improper billing issues. 1. High inventory of medication on-site which can lead to high return of unused medication, poor control, excessive dispensation, unnecessary increase in budget. 2. High dispensation of narcotics and regular medication compared to other clubs; this creates culture of dependency and goes against healthy lifestyles and care, even for an NFL player. My concern is also with these players at the end of their careers going through medical issues, and also with the ease of access to media outlets that can provide them the opportunity to say they abused or are now addicted to a number of medications. 3. After Mary Anne Fleming [Director of Player Benefits at League Office] reviewed our issues with SportPharm, her recommendations were to start clean on all levels including new team physician, new head trainer, and new pharmacy account number. 4. Overspending in regards to medication. We were informed on average an NFL team spends about 30k per year on player prescriptions. We spent 81k in 2009 between two pharmacies. In comparing our new medication process to 2009, we spent $700 on players prescriptions in April in 2010, compared to $8,700 in 2009 while improving our quality of care for the players. Please review, as with all of our meetings so far, another productive one. Our goal is to strive to provide the highest standard of care to our players. Please let me know if you need further information. Pellman replied to the email by offering to call McKay on the phone. These emails were entered into court record last week as part of a proposed class-action lawsuit brought by 1,800 former NFL players who claim they were encouraged to abuse painkillers by team doctors. A similar suit was filed by eight former NFL players in 2014, but that case was dismissed by a federal judge who ruled that the NFL’s collective bargaining agreement offered better avenues for settling their grievances. That ruling is currently being appealed, and this new suit attempts to skirt it by suing individual NFL teams rather than the league as a whole. According to the Associated Press, the emails sent by Lauzon and Dimitroff are just a small sample of the thousands of pages of evidence that the players’ attorneys have gathered in discovery. You can read the full emails here. Why Is The NFL&apos;s Most Infamous Quack Still Involved In Its Concussion Program?